We think we can all agree on how great skulls are, right? They keep our brains nice and cozy, they give us something to put our hats on, and help us recognize pirates when we see one on a flag. But sometimes, full size skulls are a little too big to be used for decorative purposes, and unless you know something about skulls that we don't, you really can't take one out of your body and expect to put it back later. 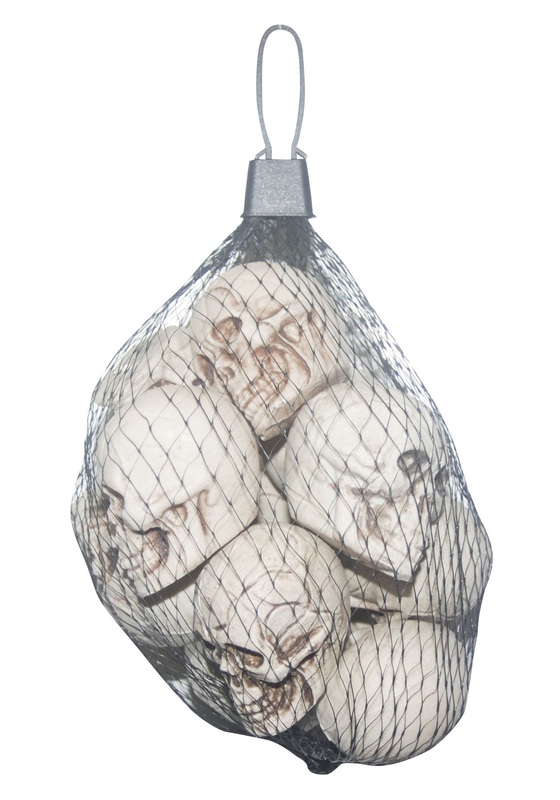 Luckily, you can always use the contents of this Bag of 12 Skulls to make your decor look extra scary! These plastic noggins come by the dozen, and are actually much smaller than the average cranium, so you can scatter them around with the rest of your decorations, or sneak them into peoples' bags as creepy little gifts. Now that's using your skull!